SEO tracking is essential for evaluating your site’s success. After all, If you’re going to invest the time and budget it takes to create and maintain an SEO plan, you want to be sure that your investment is worth the results. And the short answer is that it’s how to measure SEO performance. One of the biggest advantages of digital marketing general is that you can measure virtually every part of your strategy. 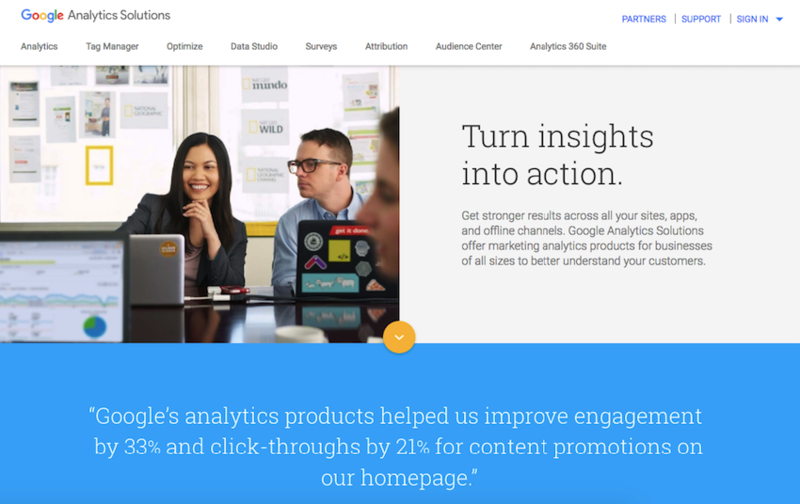 Tools like Google Analytics offer a wealth of information on site performance, meaning that you’ll never be in the dark about whether your SEO efforts are paying off and how they’re impacting your most important goals. In fact, for many site owners, the problem isn’t accessing enough information. It’s determining which metrics to focus on. It would be next to impossible to comprehend each of the reports available in Google Analytics alone — not to mention those provided by hundreds of other analytics tools. That’s why on this page, we’ll explain eight of the SEO metrics you should be using to measure your results, as well as the tools you can use to collect this data. If you’re new to monitoring and reporting your SEO results, you may have a few questions about what the process involves. Fortunately, SEO tracking is more straightforward than it may sound. 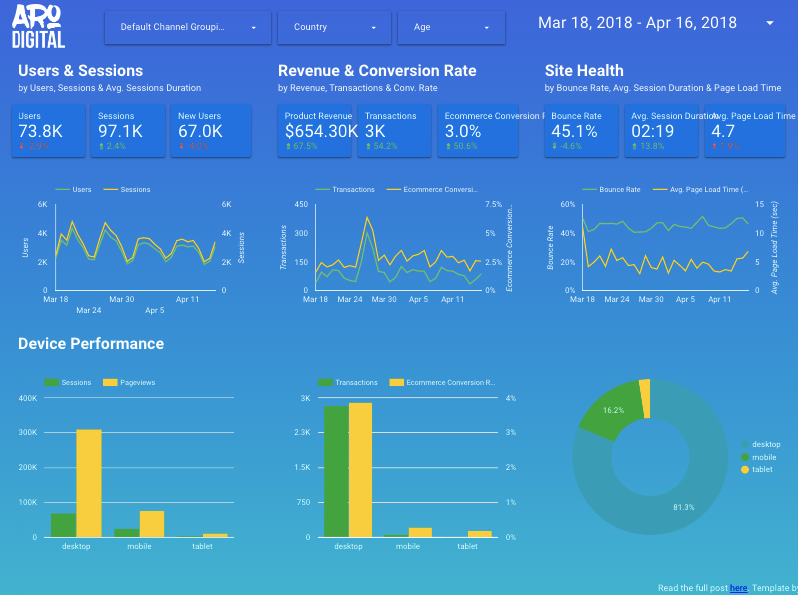 It simply involves determining which metrics are most important for your business, then monitoring those metrics on a regular basis to track your progress. But the key to gaining valuable insight from SEO tracking lies in selecting the right metrics. After all, there are thousands of metrics you could be tracking. But a monthly report of all of these would take hours to read, and would likely only confuse the reader. When you select a handful of metrics, you can create reports that are much more digestible, manageable, and helpful. This is especially true if you use a reporting tool like Google’s Data Studio to compile and present your reports. These reports will make it easier to gauge how your strategy is performing and can provide an at-a-glance look at your success for anyone else within your company who wants to see results. By this point on the page, you’ve come across the term “metric” about a dozen times. So before we move forward, it’s important to have a solid understanding of what this means in the context of SEO. A metric is a quantifiable measure of one specific piece of data. It’s granular, it’s straightforward, and it leaves very little room for confusion. Essentially, when you build your reports on metrics, you focus on concrete indicators of success that can be accurately measured. And while it can sometimes be difficult to determine exactly which tactics are responsible for your results if your SEO strategy is complex, the results themselves are entirely based on easy-to-measure data points. Site owners today have access to an insane amount of data about their online performance. And to be clear, almost all of these data points can provide valuable insight. If you’re ever looking for answers to questions about how an individual tactic is working, or how a specific page is performing, that information is almost always available if you know where to look. But for the purpose of tracking your overall performance on a regular basis, this data is entirely too much. And it can be challenging to narrow the wealth of data available into a manageable number of metrics for your reports. So if you’re struggling with this step in the SEO tracking process, here are eight of the most important metrics for measuring your results. One of the most important metrics for measuring SEO results is organic traffic. That’s because this number represents all of the visitors your site is attracting solely from organic search. So while your overall traffic numbers can give you an idea of your site’s general performance, narrowing in on organic traffic is a better way to measure your SEO strategy’s direct impact. After all, one of the main goals of any SEO strategy is to improve your visibility in search for keywords related to your business and industry — and it stands to reason that if you’re succeeding, the number of visitors you attract from search results should steadily increase. And accessing this information is easy in Google Analytics. By default, this report will show your site’s organic traffic for the previous month. You can see your total number of sessions, as well as how that number fluctuated over the course of the month. You can also adjust the time frame to get a more comprehensive look at your organic traffic performance over time so that you can see whether it’s reflective of your SEO efforts. And as you build on your strategy, month-over-month and year-over-year reports are a great way to visualize the long-term impact your SEO has on your site. Your CTR, or clickthrough rate, indicates the percentage of searchers who visit your site after seeing one of your pages in search results. For example, if ten different users saw one of your pages ranking in Google’s results for a particular keyword, but only one of them clicked and visited your site, your CTR would be 10%. This metric is one of the best indicators of how effective your pages are at grabbing users’ attention in search results. As a result, it’s also a solid indicator of the quality of your site’s title tags and meta descriptions. After all, when one of your pages shows up in search, these are the elements that appear — and they’re what searchers use to determine whether they want to visit that page. So if your clickthrough rates are low, this could be an indicator that your title tags and meta descriptions need some work. That being said, it’s also important to recognize the role that rankings play in CTR. After all, pages ranking in position one get an average of 31.52% of the clicks on a desktop results page, and 24.05% of the clicks on a mobile results page. 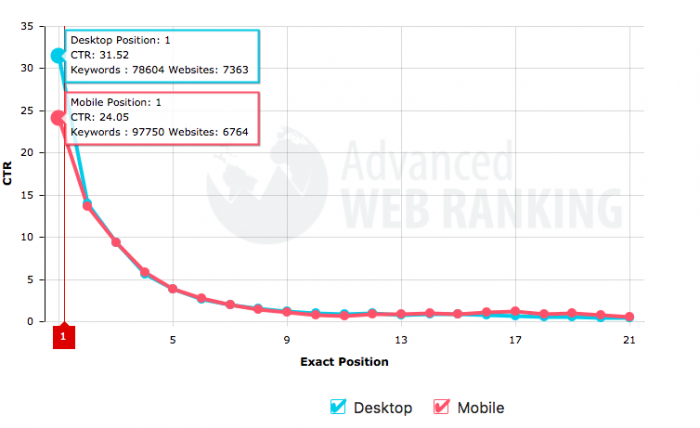 So the lower your site ranks in search, the lower you should expect your CTR to be. But keeping an eye on this metric is a good way to monitoring your performance over time. And if it doesn’t increase, you know you have some work to do. And it’s a great indicator of whether your site’s content is in line with what users expect when they choose one of your pages from the list of search results. If a large percentage of your visitors opts to leave your site and choose a different page from the results, this tells you that page they’re landing on doesn’t contain the information that they wanted or needed. But if your bounce rate remains low, you can be confident that your pages ranking in search are effective in providing what your visitors want — and that those pages are helping you reach your SEO goals. This metric is a relatively straightforward one. As you work towards improving your site’s rankings for keywords that are important to your business, it makes sense that you’d want to monitor how your rankings for those keywords change. 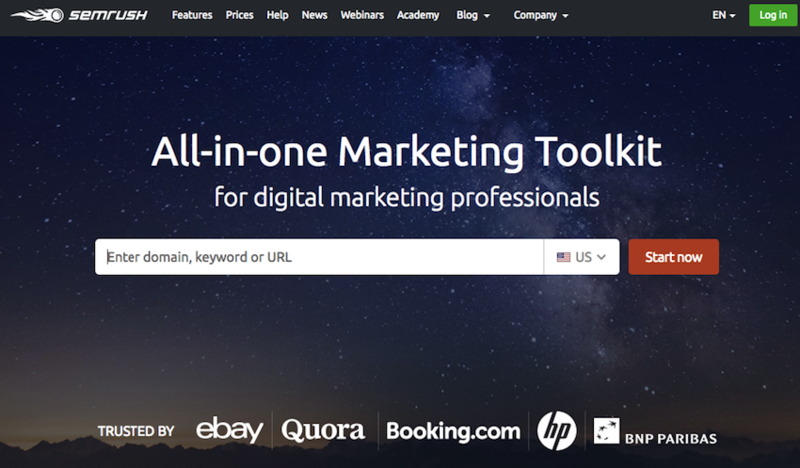 You might choose to do this manually for some of your most important keywords. After all, simply performing a Google search for those keywords will show you exactly where you stand. But beyond that, you can get a more comprehensive look at your rankings using a tool like SEMrush. 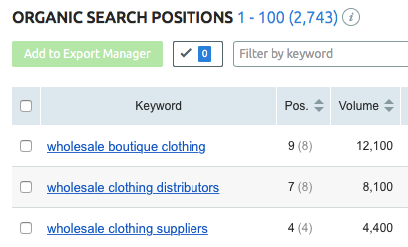 For example, if you open the Organic Search Positions report, you’ll see an overview of all of the keywords your site ranks for, as well as the positions in which it ranks. Looking at this report on a regular basis is an excellent way to monitor ranking changes over time and gauge how your search visibility as a whole is improving. One of the most important goals of any SEO strategy is to improve the site’s level of authority in Google’s eyes. And while attempting to gauge this impact based on links earned would be next to impossible, tools like Website Authority Checker make the process simple. 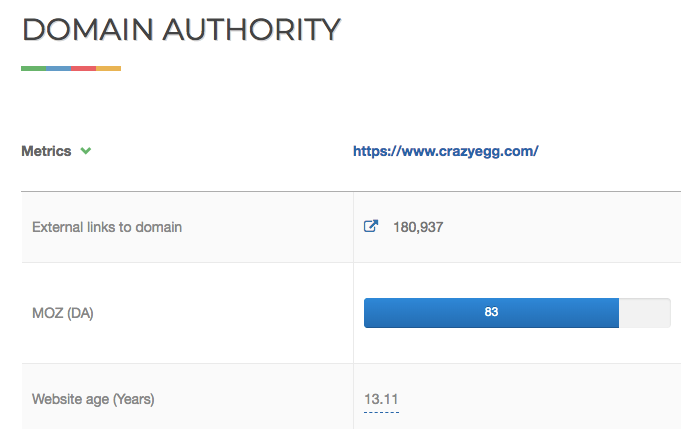 Enter your site’s domain name, and you’ll see a number on a scale from one to 100 that indicates your site’s authority based on your backlink profile. Keeping an eye on this number is an easy way to gauge the impact of your link building strategy, and can help you measure how your site’s level of credibility improves over time. In addition to measuring your site’s domain authority, it can also be helpful to monitor your site’s number of incoming links and referring domains. And if you’re unfamiliar with this distinction, it’s an important one to make. While your number of incoming links includes all of the links pointing to your site, your number of referring domains represents the number of unique domains from which you have incoming links. So although these metrics may seem extremely similar, it’s wise to monitor both. And considering how easy tools like Ahrefs’ Backlink Checker make this process, there’s no reason not to. And though every link you earn has the potential to improve your authority, links from new domains will almost always have a bigger impact than links from sites that already link to you. So including both of these numbers in your reports can give you a more well-rounded look at your link building results. User experience plays a major role in your site’s ability to rank well and convert your visitors into customers, and one of the biggest factors in the experience your site provides is page speed. So as you optimize your site, it’s important to keep an eye on whether your changes have an impact on your load times. Fortunately, this is an easy metric to monitor using Google’s Page Speed Insights. The exact metrics you choose to include from this report are up to you. If you prefer a more technical approach, you can include your page load times in FCP and DCL. But if you’re not familiar with these metrics, you can also opt to simply use Google’s optimization score. Either way, monitoring these metrics will help you easily understand this key part of the user experience your site provides — and can help you spot any issues before they harm your results. The fact that this metric is last on our list does not mean that it’s the least important. In fact, considering that this metric represents your SEO strategy’s impact on your company’s most important goals, like leads and sales, it’s arguably the most important for gauging your overall success. The best way to access this information is by setting up custom goals in Google Analytics. You can create goals for online purchases, lead form submissions, email newsletter signups, and virtually anything else that represents an important action for your business. Then, you can easily monitor the percentage of your visitors that takes each of these actions — and helps your company make impactful progress towards your goals. There are many different tools you can use to measure your site’s performance. But when it comes down to it, you can gain all the insight you need to create helpful SEO reports from the following four. It should come as no surprise that one of the best tools for measuring your SEO performance is Google’s own platform, Google Analytics. This tool offers more insight than virtually any other tool available. Plus, it’s 100% free. Today, it’s considered a standard tool for site owners and marketers — so if you’re not already using it to measure your site’s performance, you’ll want to install it as soon as possible. Search Console is another Google-owned tool for monitoring site performance. 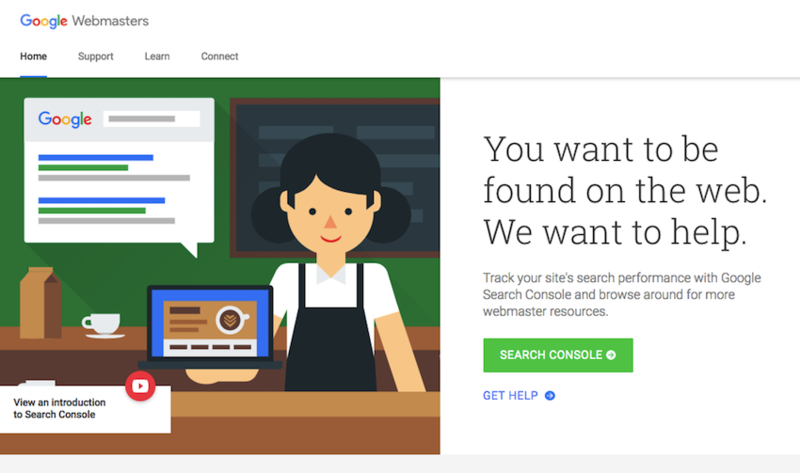 But unlike Analytics, which focuses on how measuring on-site actions, Search Console is primarily designed to help site owners monitor how their pages appear in search. You can use it to see which of your pages appear in search results, as well as each page’s CTR. SEMrush is best known as a competitor research tool, but it also provides a wealth of information that can be useful for measuring your site’s performance. Its Organic Search Positions report provides an at-a-glance look at your site’s rankings for your most important keywords, as well as all of the other keywords you may not even know you’re ranking for. This makes it easy to monitor your site’s search visibility and easily gauge your overall performance. 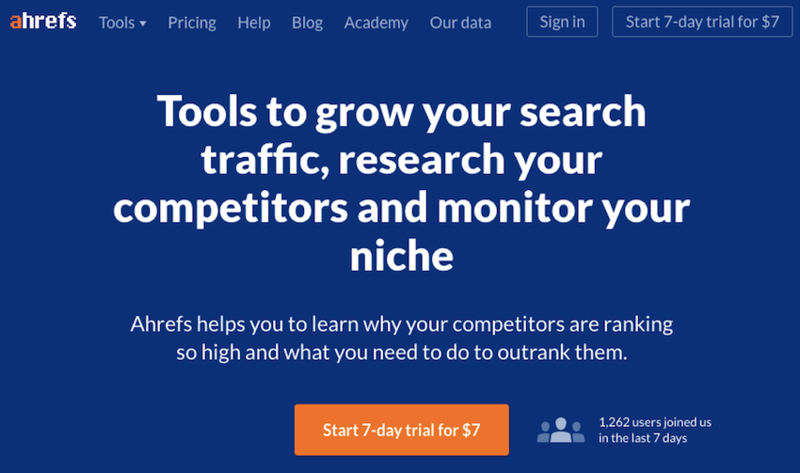 Ahrefs is one of the best tools available for backlink analysis. While many site owners primarily use it to identify new opportunities to build links, the Backlink Analysis tool is also a great way to keep an eye on the new links coming into your site over time. The metrics above are some of the most straightforward ways to gauge the impact of your SEO strategy. And while that makes them the easiest to use, it’s important that you don’t forget about the less-straightforward parts of your site’s performance — namely, user experience. Sure, metrics like page speed can give you a general idea of the experience your site provides. But when it comes down to it, the only way to truly understand how visitors interact with your site is with user testing. If you’re unfamiliar with user testing, it involves tracking how users interact with individual pages on your site. This process can help you uncover any usability issues and learn more about why your visitors behave the way that they do. 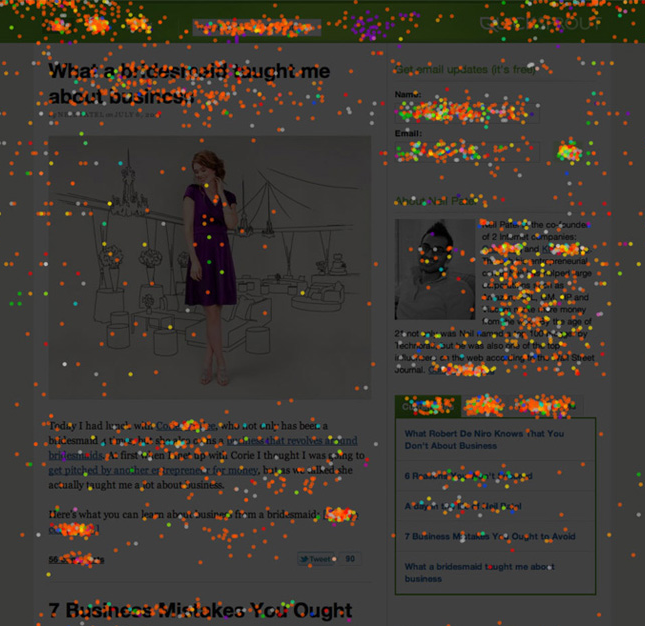 For example, Crazy Egg’s Confetti tool can show you where each of the visitors to any given page on your site clicks. If you notice that a large number of the clicks on a page are going to less-important areas and elements, this is a sign that the page isn’t designed in a way that encourages your most important conversions. While gaining insight from these reports requires a bit more analysis than checking a few numerical values, they can provide a more in-depth understanding of your visitors. And considering that the ultimate goal of attracting visitors to your site is to convert them into customers, this understanding is essential for seeing the results you want. Measuring your results is an essential part of the search engine optimization process. It’s how you gauge whether your strategy is working, what kinds of results you’re achieving, and where you can improve moving forward. If you’re not yet tracking SEO metrics like organic traffic, CTR, bounce rate, keyword rankings, domain authority, backlinks, and conversions it’s time to get started. Fortunately, tools like Google Analytics and Search Console make this relatively easy. So if you’re ready to get a more accurate idea of how your SEO efforts are impacting your business, you’ll want to spend some time determining which metrics are most important for your goals — and you may be surprised by the results you uncover. What are the most important SEO metrics for your business?